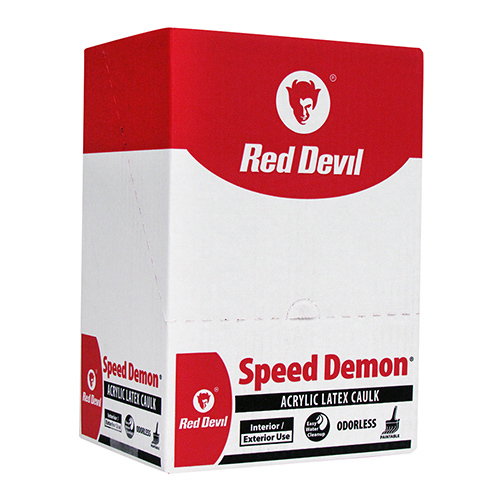 Speed Demon® Acrylic Caulk is a general purpose, economical caulk that applies easily and dries quickly. It can be used indoors or outdoors on most common construction substrates and is paintable and cleans up easily with water. It can be used on masonry, painted and unpainted wood, and most siding.